K&N, the inventor of High-Flow Cotton Air Filters, is rolling out its custom bike builder program where every builder entering the 2011 AMD World Championship of Custom Bike Building has the opportunity to receive 70% off all K&N products. This program is provided exclusively to participants in the World Championship. For more information on the championship builders should logon to http://www.amdchampionship.com. MILWAUKEE (July 12, 2011) – Harley-Davidson riders and enthusiasts will revel in one of the motorcycle world’s most unique and exciting events at the 71st Annual Sturgis Motorcycle Rally in South Dakota’s legendary Black Hills region. High-Flow Air Filter built to perform in your Ventilator Air Cleaner! June 2011, K&N Engineering, Inc., releases a Replacement High-Flow Air Filter for the 2009-2011 HARLEY-DAVIDSON Screamin’Eagle Ventilator style performance air cleaner systems found on 2010-2011 CVO’s. If you’re looking for increased performance out of your performance V-Twin, upgrade to a K&N High-Flow Air Filter! Harley-Davidson introduced the Tri Glide in 2009, but it was far from being the first trike model in the company’s history. Back in 1932 the Motor Company introduced the Servicar, which went on to become one of its longest running product lines, only being discontinued in 1973. However, many of those original Servicars have resurfaced on the custom scene, so it was really only a matter of time before the Tri Glide caught the attention of the custom market too. 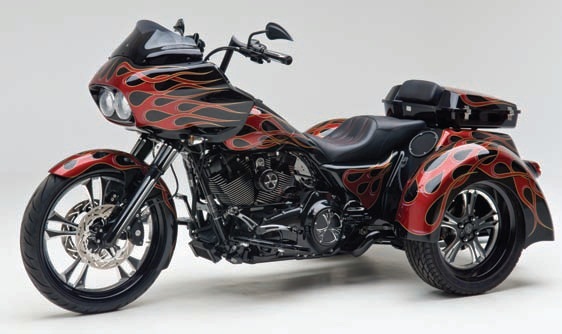 In this case it is Arlen Ness who has taken on the challenge of creating a custom Tri Glide, and in doing so he has created a parts line owners of Tri Glides can utilize on their own trikes. DP Brakes is now offering support to the Power Sport Institute (PSI) with brake pad technology needed for training aids. The Power Sport Institute (PSI), located in North Randall, Ohio, is a training school which offers comprehensive diploma programs and AAS in power sport technology. In order to further its training programs, the PSI establishes industry alliances, like the one now created with DP Brakes. 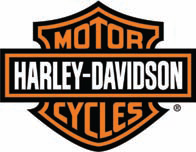 S&S Cycle has followed the news of the closure Big Dog motorcycles with an offer to honor the warranty on the engines used in the bikes. The new warranty will be available to all owners of Big Dog motorcycles that were still covered by the factory warranty. For Immediate Release: K&N, the inventor of High-Flow Cotton Air Filters, once again partners with the AMD World Championship of Custom Bike Building to bring awe-inspiring customs from around the world to the forefront in Sturgis, South Dakota. K&N has been manufacturing their exclusive line of Performance Filters in Riverside, California, for over 40 years now and is the premium choice for custom bike builders and manufacturers. K&N offers one of the most diverse lines of custom intakes from varying filter shapes to complete intake systems.